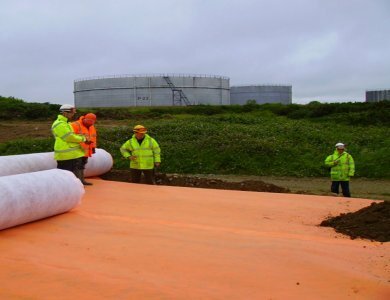 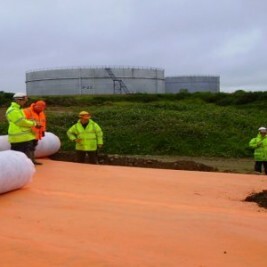 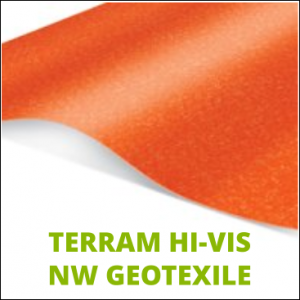 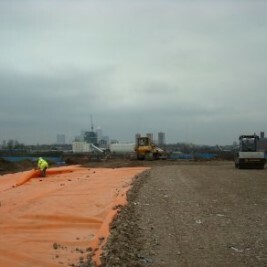 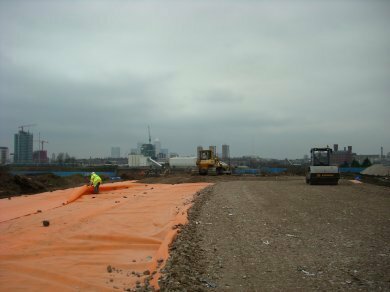 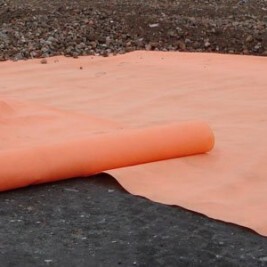 Terram Hi-Vis is a non-woven orange geotextile used for separating contaminated/uncontaminated soils. 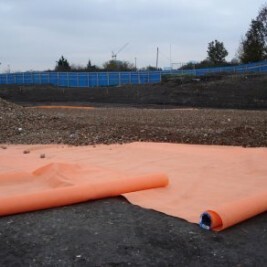 The geotextiles has a dual effect: its vivid colour warns of potential danger at the point of any future excavations and it can also prevent the upward movement of contaminated soil particles. 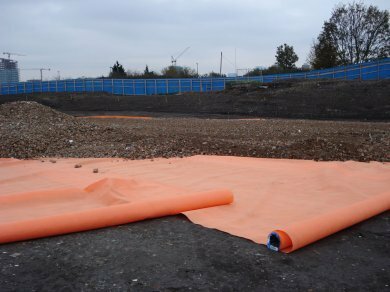 Sold ‘by the roll’ and subject to minimum order quantities, Hi-Vis Geotextile is available for immediate delivery across the UK and Ireland.